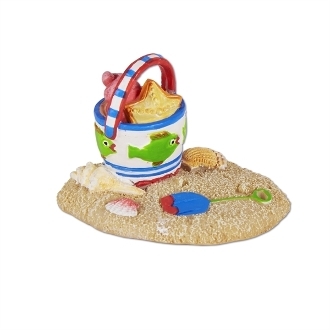 Beach Pail Scene for Merriment Mini Fairy Gardening. Full Description: Time to collect seashells and play in the sand! This beach pail is the perfect addition to any coastal mini garden. Beach Pail in Sand is underwater safe, features all-weather paint, and is made of resin.